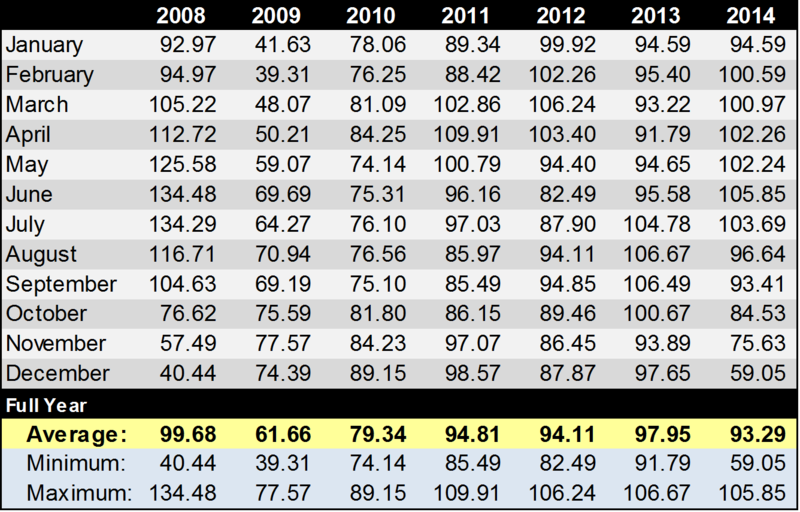 How Often Does Midwest Find Oil? Located in Indianapolis, Indiana, Midwest Energy Partners, LLC (“Midwest”), is an investment management firm incorporated in 2009. 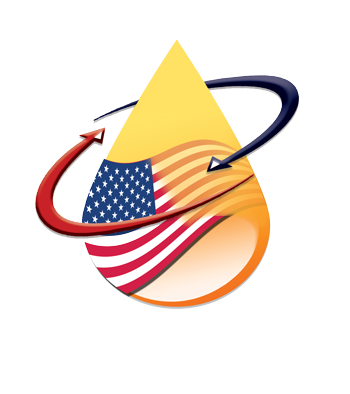 Midwest was formed to successfully assist individuals and corporate entities to directly invest in oil production. Consistent returns are generated due to minimizing risk, by utilizing modern technologies to optimize well performance, and working with strong operating companies with proven drilling experience and a high level of corporate integrity. The predominant concern by investors contemplating an investment in the oil and gas industry is “dry holes.” “Dry Holes” are defined as any well that does not produce oil or gas in commercial quantities. Often, a well may flow water, gas, or oil, but not in amounts large enough to justify the costs to complete the well for production. Chance of Success is estimated from historical data and is the number of successful wells completed as producers, divided by the total number of wells drilled. Sources: American Petroleum Institute (“API”) and Nontechnical Guide to Petroleum Geology, Exploration, Drilling & Production by Norman J. Hyne, Ph.D.
1) Midwest will limit Wildcat wells to 10% of any drilling package. 2) 66 wells by Midwest and 12 wells by Herrick at CountryMark. One of those twelve was a dry hole. 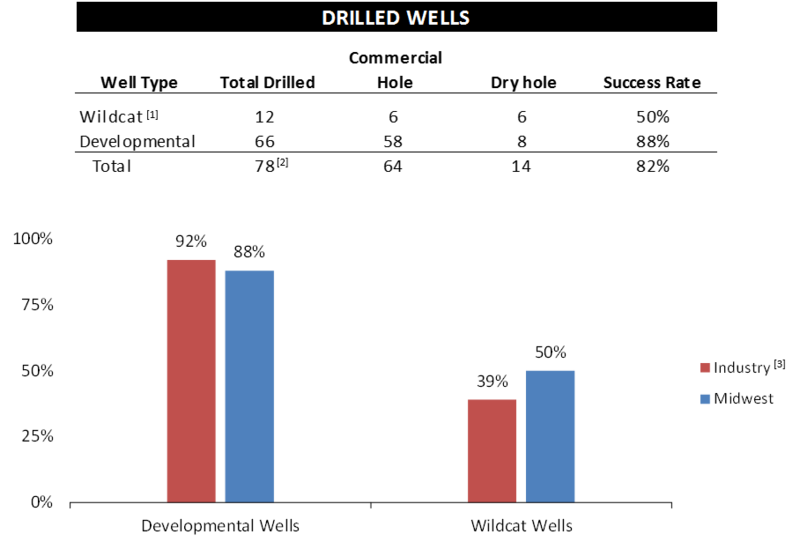 3) Industry percentages include gas wells, which typically are a lower risk to drill due to larger production zones. The Map shows the current wells that Midwest owns a working interest in by county. Midwest also has three wells located in Kansas. Today, roughly 35,600 barrels of oil come out of the Illinois Basin daily, equating to 13,000,000 barrels a year. The Illinois Basin covers approximately 60,000 square miles in central and southern Illinois, southwestern Indiana, and western Kentucky. 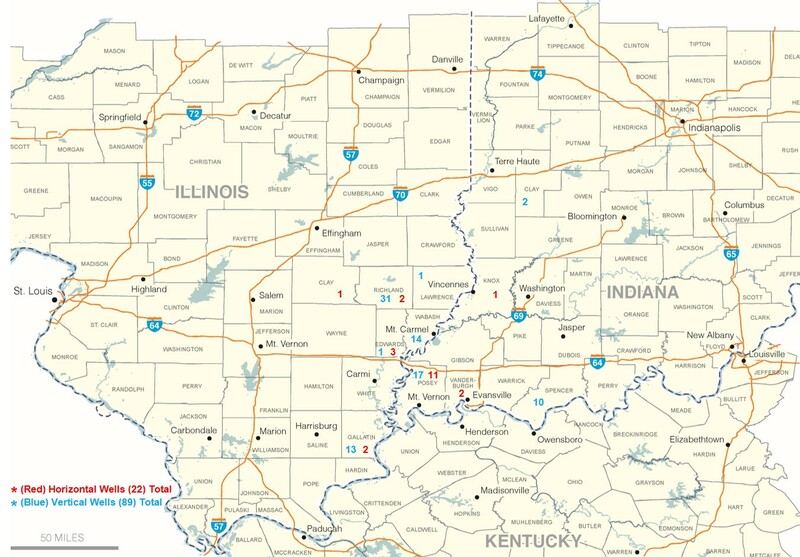 99% of Midwest’s Wells are located in the Illinois Basin. We find that our investors like the idea that in a few hour drive we can be at our wells. That gives the investors a sight and feel on their investment. Hard assets such as the wellhead, casing, tanks, pumping unit, and production equipment. TAX INFORMATION DISCLAIMER: Midwest Energy Partners, LLC. is not a Tax Advisor, CPA, or Tax Attorney and is not certified to give any tax advice. Each investment individual may or may not qualify for certain deductions contained herein. The information on this page is for education purposes only. It is highly recommended you seek advice from your own tax professional or an accountant that is familiar with these types of investments before making an investment decision. Midwest Energy Partners, LLC. offers no professional tax advice. Have a question about oil and gas investments? Please feel free to contact us directly by submitting the form below, and we will respond to your request quickly. DISCLAIMER: This is not an offer to sell securities. Offerings are made by private placement memorandum or other offering materials. Past results are not a guarantee of future performance. INVESTMENT IN ANY OFFERING IS SPECULATIVE AND INVOLVES A HIGH DEGREE OF RISK. SECURITIES ARE ONLY OFFERED TO “ACCREDITED INVESTORS” AS DEFINED IN RULE 501 OF REGULATION D, PROMULGATED UNDER THE SECURITIES ACT OF 1933. Securities will be offered for investment purposes only in reliance upon exemptions from the registration provisions provided under the Securities Act of 1933, as amended. There will be no public market for the securities. Securities are subject to restriction on transferability and resale and may not be sold, pledged, hypothecated, or otherwise transferred except as permitted under the Securities Act and the applicable state securities laws, pursuant to registration or exemption therefrom. Investors should be aware that they will be required to bear financial risks of their investment for an indefinite period of time. PROSPECTIVE INVESTORS ARE NOT TO CONSTRUE THE CONTENTS OF THIS WEBSITE AS LEGAL OR TAX ADVICE. EACH POTENTIAL INVESTOR SHOULD CONSULT HIS OR HER OWN ATTORNEY, ACCOUNTANT AND OTHER ADVISORS AS TO LEGAL, TAX AND RELATED MATTERS CONCERNING ANY POTENTIAL INVESTMENT.